John "Large" Kabbaj, one of England's leading tournament poker players, has taken the runners-up spot in the $2,000 No Limit Hold'em main Event at the East Europe poker Championship in Moscow, Russia, winning $30,800 for his efforts. Kabbaj entered as one of 81 players, predominantly from Russia and the surrounding states, but cut a swathe through the opposition until finally yielding to home player, Alexander Lukyanov, who showed that this was no fluke by taking 4th place at the $500 Limit Hold'em Event at the same venue two days later. 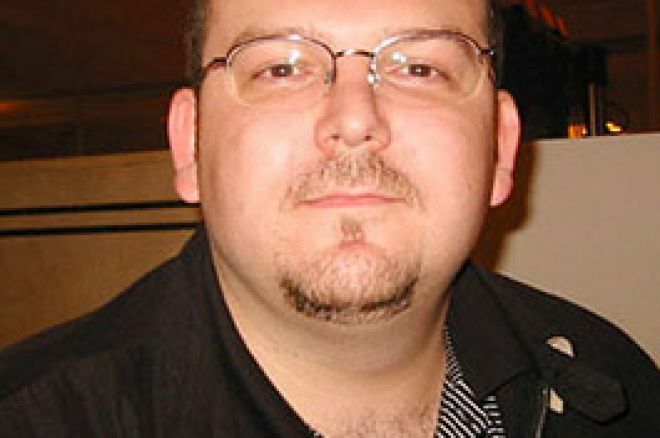 John "Large" Kabbaj is a highly respected British player whom the Hendon Mob (Ram Vaswani, Joe Beevers, Barny Boatman and Ross Boatman) credit with the title of unofficial fifth "Mobster". Utterly proven in tournament play in several disciplines of poker, Kabbaj has a long history of final table finishes. This includes as far back as 1995 with the trophy for first place at the London Christmas Cracker £500 No Limit Hold'em Main Event, through to a Pot Limit Omaha victory in Paris in 1999, a Pot Limit 7-card Stud victory in London in 2001 and a Limit Omaha Hi/Lo victory in Moscow in 2001, and finally a No Limit Hold'em victory in the &euro;2,000 No Limit Hold'em Event at the 2004 Paris Open of Poker, earning &euro;41,000 in the process. Between all of these victories have been numerous top fives and, remarkably, four finishes at the WSOP 2005 inside the top 10% of the field, including top 40 berths from fields of more than 1,400 and 2,000 players respectively. These placings combined to earn Kabbaj over $35,000 from his $11,000 of buy-in costs. However, all four of these WSOP results were dwarfed by his one cash-out in the 2004 festival where he finished 2nd in the $3,000 No Limit Hold'em tournament earning a cool $260,000, but just missing out on a cherished WSOP Bracelet. Compatriot, Ram "Crazy Horse" Vaswani, accompanied him at the final table until bowing out in third spot for $143,000. They were both pipped to that particular post by American Mike Sica who, up until that $500,000 victory, hadn't figured in top poker results. Since then, Sica has used the prize money to good effect, cashing on a regular basis in $1,000 - $2,000 entry tournaments. Other British players finishing in the top 10% of the field were Barny Boatman, Surinder Sunar and Ronnie Debeaulox. Ed note: Make your own large profits at Ladbrokes Poker with a $100 bonus.